In this ‘just me’ episode, I give a writing update and answer a couple of questions. I’ve been on tight editing deadlines all month with my latest novel, Beneath The Water, but the end is truly in sight. Huzzah! I mostly enjoy editing and rewriting as it’s a brilliant chance to make things better. I’m always grateful that I’m a novelist and not, say, a stand up comedian. With writing, you can work away at something for ages before going public and you get loads of chances to make it as good as possible. Of course, the flip side is that no book ever really feels finished. If I didn’t have deadlines – either external ones or ones I set myself – I would truly never let go and just keeping on tinkering. Having said that, I’m really looking forward to letting this one go, now. I’ve hit the ‘I’m sick of it’ stage and other shiny ideas are clamouring for my attention. Next month, I’ll still be in rewrite mode as I’ve had the edit notes for a different book from my agent. It’s a bit of a departure, genre-wise (supernatural thriller-ish) and I am really excited about getting back to it. 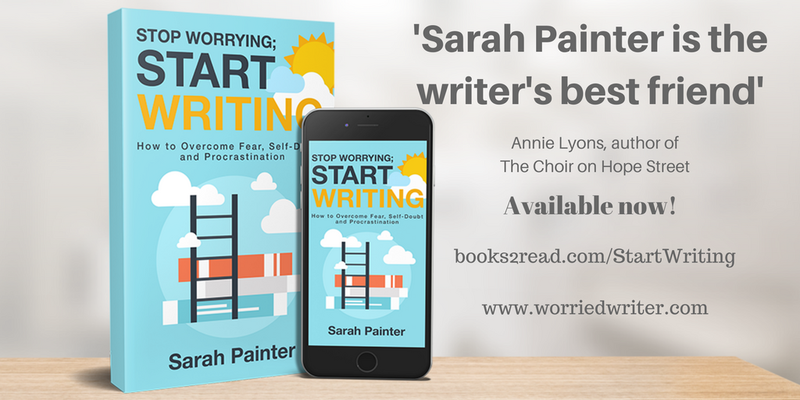 I’m also planning to record the audio book of Stop Worrying Start Writing. Lots of you have asked me to narrate the book myself (thank you so much for the vote of confidence) so I’m going to give it a go. No promises, though… If I start and it’s a disaster, I will book a professional! This month’s question comes from Janine. She asks two questions and they are both excellent so I attempt to tackle them both. I’m really struggling to find time to write. Specifically, I seem to cave whenever I have writing scheduled but people want me to spend time with them or do them a favour. I have a deadline in August and I’m terrified that I’m not going to meet it. I do feel guilty spending time on writing, which is probably why I cave so quickly. Any advice gratefully received! Following on from the previous question, I’m considering booking myself into a hut for 3 nights in order to get some work done. Is this something you’ve had to do yourself? 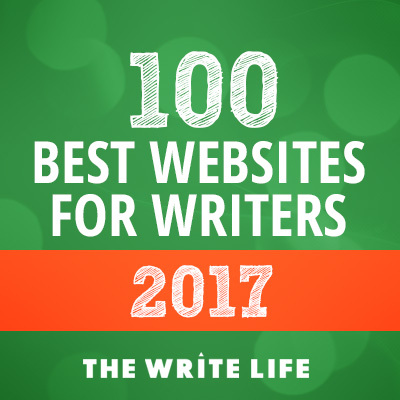 And is it something you’d recommend, or is it better to fit writing around life in 20-30 minute slots as I have been doing? Perhaps I’m worried that if I book it, I won’t have the stamina to write and edit all day! Guarding your writing time is a matter of training and every time you break your plan to write and cave in to other people’s needs, you are training everyone around you to believe that you are not serious about your writing and that it simply isn’t that important. Worse still, you are training yourself to believe the same. If you are interested in what makes stories work, then I highly recommend Lani Diane Rich’s How Story Works podcast series. Lani is an alumnus of the podcast (listen to her interview: ‘Claim Your Awesome’) and is a bestselling and award-winning author of twelve romantic comedies. She has also been teaching story craft for years and is absolutely brilliant at explaining the concepts. A big turning point for me came when I took her novel revision course back before I was published. I was working on the book which became The Language of Spells and Lani gave me an encouraging critique of my opening chapter which gave me a much-needed boost, but she also managed to explain the three act structure in a way in which I could, finally, grasp it. I still use her techniques in my revision process and if she ever teaches that class again I definitely recommend it. If Stephen King is your writing godfather then Sarah Painter is the writer’s best friend – kind, honest and full of wisdom. 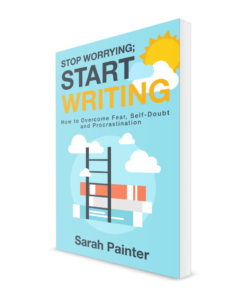 Stop Worrying; Start Writing is available now from Amazon, Kobo, iBooks, and Nook and in paperback, too! My guest next month is historical crime novelist M.J. Lee, also known as Martin Lee. 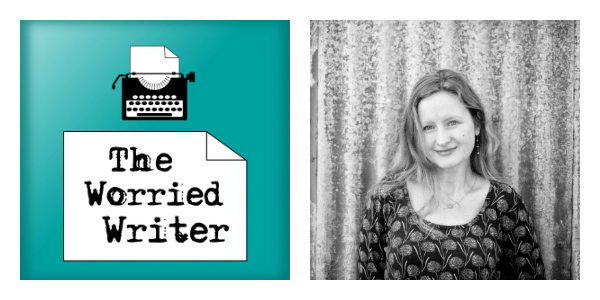 We had a great chat about historical research, Martin’s writing process and views on writers block, and I’m looking forward to sharing it with you.